As a freelance reporter for the Morning Call, I loved West Easton. Small town, good bunch of elected officials who always had something to say. They could balance a mean budget. 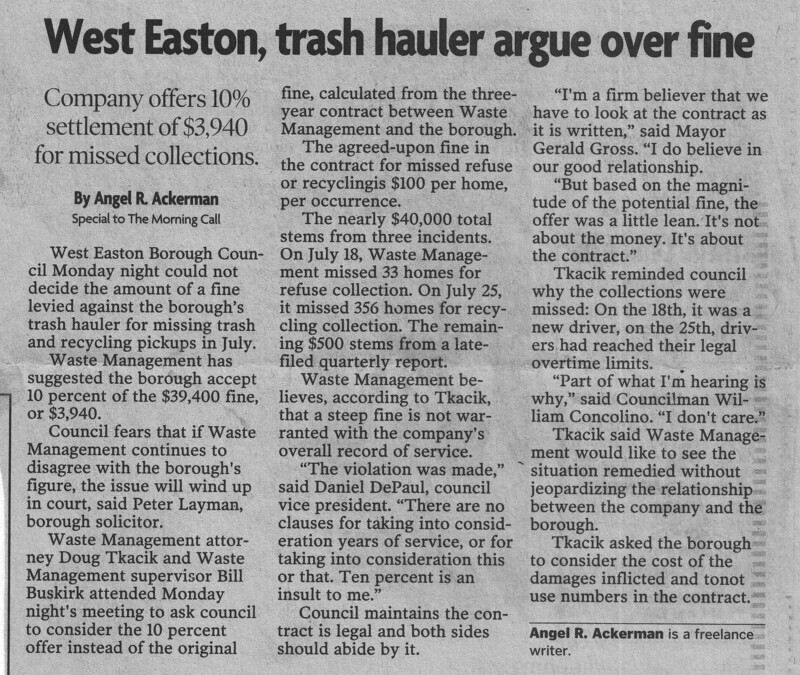 This particular saga started in the summer of 2002, when their trash hauler missed a good portion of the borough. The trash saga between Waste Management went on for months, but if we’re talking off the record, you have to admire the little town for standing up to a huge corporation. It’s my version of a municipal soap opera. These articles are also available online at The Morning Call. ← GourMaybe: Should servers depend on tips?